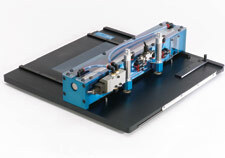 Emerson’s Corrugated Sample Cutters guarantee extremely clean cuts perpendicular and parallel to the flutes. Reliable test results can only be obtained with accurate samples. Emerson’s patented, manually-driven Sample Cutter makes nearly perfect single wall corrugated samples required for Edge Crush, Flat Crush, and Pin Adhesion Tests. Reliable test results can only be obtained with accurate samples. Emerson’s Pneumatic Sample Cutter makes nearly perfect single/double wall corrugated samples required for Edge Crush, Flat Crush, and Pin Adhesion Tests. Reliable test results can only be obtained with accurate samples. 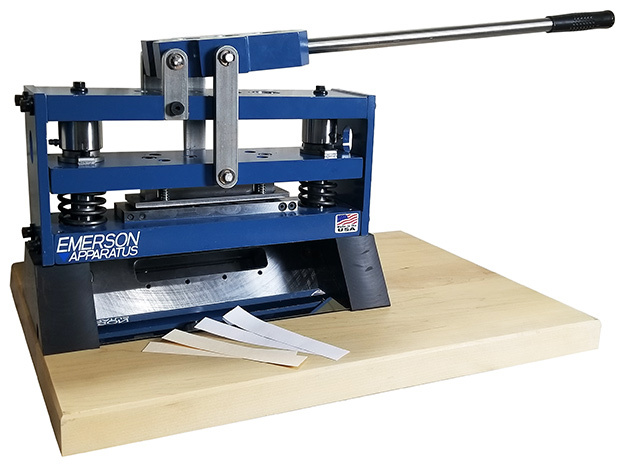 Emerson’s Triple Wall Pneumatic Sample Cutter makes nearly perfect single/double wall corrugated samples required for Edge Crush, Flat Crush, and Pin Adhesion Tests. Reliable test results can only be obtained with accurate samples. 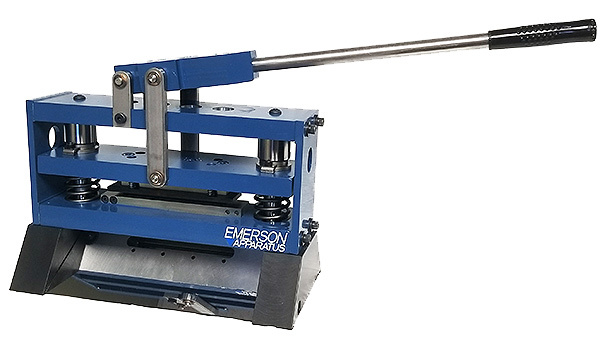 Emerson makes large and custom versions of its Pneumatic Sample Cutter so you can create nearly perfect single/double wall corrugated samples required for Edge Crush, Flat Crush, and Pin Adhesion Tests. 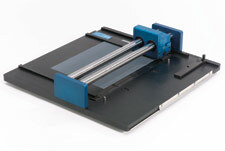 Emerson Apparatus’s IBond Precision Sample Cutter creates a 1-inch x 6-inch clean sample using precision dies and die cutting mechanism for determining the energy required to rapidly delaminate a sample specimen, covering ISO 16260 and TAPPI T 569 bond strength test methods. This method defines a test that measures the energy required to rapidly delaminate a sheet-type specimen. The “Z” directional rupture is initiated by the impact of a pendulum having both a controlled mass and a controlled velocity that exceeds 6000 times the velocity of tensile strength and other dead-weight testers. The geometry of the apparatus causes the tensile stress to be rotational in nature with negligible shear stress on the specimen.. Reliable test results can only be obtained with accurate samples. Emerson’s Precision Sample Cutter reduces test results variability by using a high precision 1/2″ x 6″ sample cutting edge that’s case hardened steel and ground to produce a lasting sharp and precise cutting edge.